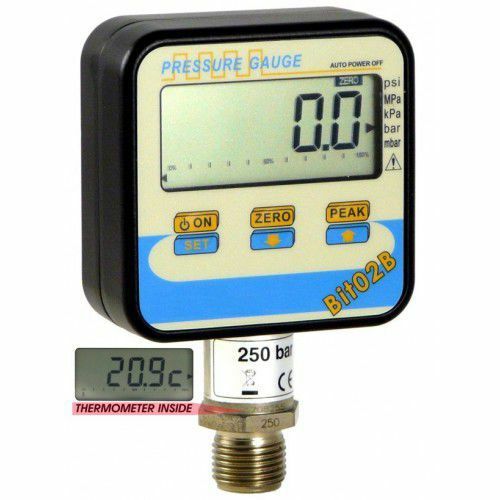 The digital manometer SM-BIT02B series allows to measure pressure and temperature with a good accuracy and reliability. The sensitive part in contact with pressure is entirely made of 17-4 PH stainless steel resistant to corrosion. The SM-BIT02B is powered by an internal batteries, with 1 year autonomy. 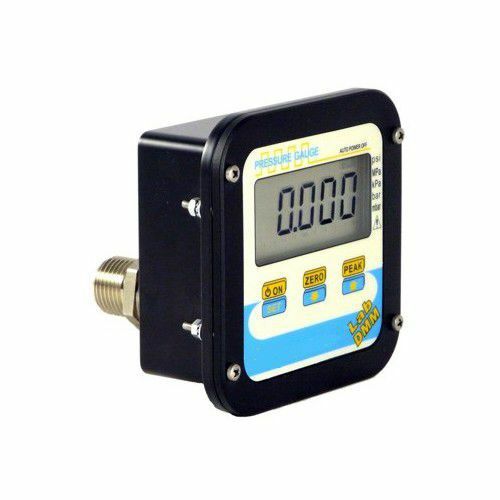 Digital manometers for RELATIVE, ABSOLUTE and VACCUM measures. Capacities from 1 bar to 2000 bar. Functions: ZERO, FILTER, PEAK, AUTO POWER OFF.